Ten years ago today, on 21 June 2004, Mike Melvill flew SpaceShip One to an altitude of 100.124 kilometers, becoming the first pilot to qualify for the FAA’s commercial astronaut wings. The flight was a milestone for Scaled Composites in its quest to win the $10-million Ansari X-Prize, which was finally won on 4 October 2004. At the time, many people assumed that suborbital spaceflight would soon be commonplace. Today, however, some view the event with ambiguity, if not disappointment, as commercial suborbital flights have not yet begun. When viewed in systems-engineering terms, the delay in the start of the commercial operations should not be considered surprising, though, or cause for great concern. The late G. Harry Stine pointed out that human beings tend to view progress in linear terms. Our brains are hard-wired that way. But, in fact, technological progress and economic growth (like biological growth and most other natural phenomena) are not linear. They follow exponential growth curves. As a result, Stine pointed out, human beings almost always overestimate what can be accomplished in the near term and underestimate what can be accomplished in the long term. What we are seeing today, with delays in suborbital spaceflight, confirms the first half of Stine’s prediction. There is every reason to believe that suborbital spaceflight will confirm the second half of his prediction, too, in the years to confirm — as did computing, communications, aviation, and many other industries. Eight years ago today, Mike Melvill flew SpaceShip One to an altitude of 100.124 kilometers, becoming the first pilot to qualify for the FAA’s commercial astronaut wings. In centuries to come, June 21, 2004 will be remembered as the start of the real Space Age – the era when humans finally began to open up space in large numbers. We won’t be celebrating today, either. 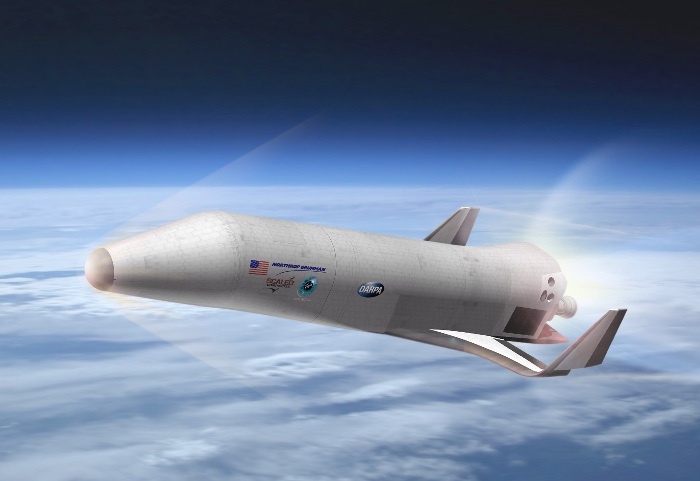 It’s been eight years since the X-Prize, and commercial suborbital flights haven’t started yet. The future is behind schedule. So, today is a day to remember but not to celebrate. That will come when the work is done. Scaled Composites recently completed the ninth full-scale firing of the RM2 rocket motor that will power SpaceShip Two. Scaled performed a 10-second burn followed by a 58-second burn, according to the test log. The test continued evaluation of all systems and components including pressurization, valve/injector, fuel formulation and geometry, nozzle, structure, and performance. Scaled performed the first test-firing of a full-scale RM2 in April of 2009. 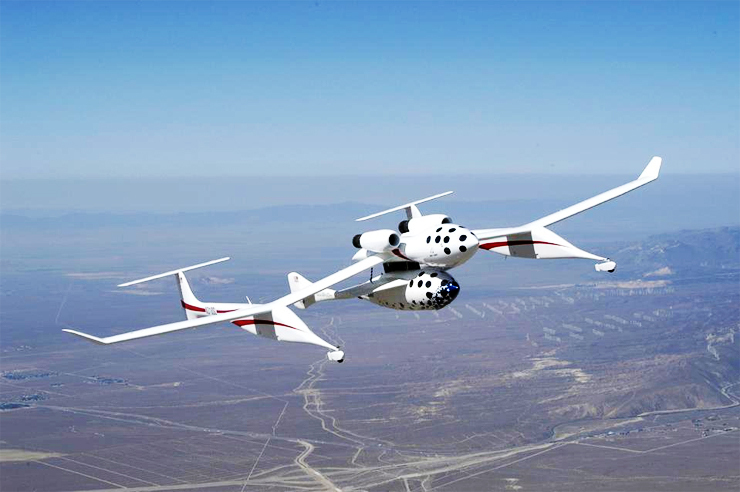 Virgin Galactic has stated that it intends to begin testing motors in powered flight on SpaceShip around the middle of this year. You are currently browsing the archives for the Scaled Composites category.